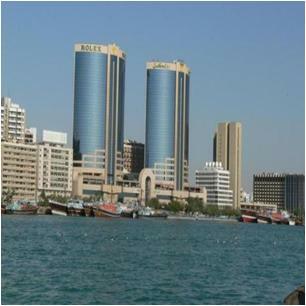 Are you fond of experiencing a ride with the dhow across the Dubai creek? Then the Creekside Leisure is what you are searching for. Founded in 1989, the Creekside Leisure is proud to be one among Dubai’s pioneer charter companies, providing enthusiasts with the opportunity to enjoy ideal way to view the beautiful city. Moreover, it is specialized in the European and Asian VIP Clientele. Creekside Leisure is serving its large number of customers with an extraordinary novel experience, one which they cannot miss when in Dubai. One can never forget the peaceful 2 hour cruise along the creek on traditional dhows of the Creekside Leisure, equipped with sumptuous dinner, fascinating lights and the traditional music. The breathtaking journey over the dunes and the view of the sunset from the dhow is really romantic. The daily guided creek tours depart at 11.30 am, 1.30 pm, 3.30 pm, and 5.30pm. On the other hand, the evening dinner cruises depart at 8.30 pm. For more details about the operational hours of the Creekside Leisure Dubai, simply call them at the above mentioned number. Al Ghubaiba Metro Station 2 is just 86 meters away from the Creekside Leisure Dubai. It will take you one minute to walk from this metro station to your destiny. Once you reach the Al Ghubaiba Metro Station 2, simply head South-West on the Al Ghubaiba Rd and then take a sharp left turn toward the 3 A Street. Now, take a right turn onto 3 A Street and find your destination on right hand side. Al Ghubaiba Metro Station is the nearest bus stop to the Creekside Leisure Dubai as it is just 300 meters away, making a minute distance by walk. Get into buses No 8, 31, C7, C9, or X13 to reach the Al Ghubaiba Metro Station. Once you reach the bus stop, head South-East on 51st St toward Al Ghubaiba Rd and then turn left onto Al Ghubaiba Rd. finally, turn right onto 3 A St and find your destination on the right side. View Map.